To help you with your holiday shopping, we have put together this fantastic selection of gift ideas for the entire family. Today’s Woman Christmas gift guide incorporates different products that are sure to top kids’ wish lists as well as gift ideas for adults too. We hope these top holidays toys and other wonderful gift ideas will help make your holiday shopping a breeze. Be sure to browse the rest of Today’s Woman to find reviews on many of the items featured here. If you have a product you would like to feature here, please use our contact form and we just might feature it. Are you ready for a battle between lizards? Introducing Tic Tac Tongue from YULU! Be quick to lick! Put on the lizard mask and get ready for a game of skill and speed. One player flips over a number card. The other two players face off to knock down the correct insect card. The lizard that knocks down the most insects the fastest wins! 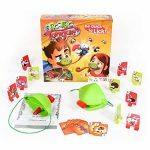 Each Tic Tac Tongue game comes with 4 lizard masks with washable mouthpieces and tongues, 10 target cards, 10 game cards and game rules. 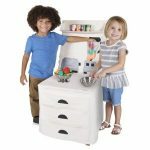 The Pop-Oh-Ver Deluxe Kitchen CounterTop, and Deluxe Stove Set lets children engage in imaginative role play cooking, baking, and sharing with friends and family. 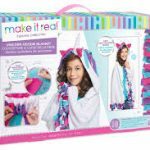 The pretend-play sets are fabric coverings for any kitchen or dining room chair that unfold to resemble real-world kitchen, stove and counter tops. This holiday season take home one of five Sharingland Playhouses just in time for the holidays. Each playhouse comes with different features, wearables, accessories and adventures to discover. 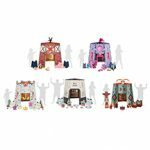 The Sharingland Cardboard Playhouse series of imagination play Kits offer a great variety of adventure theme experiences. The playhouses themselves are big, measuring approximately 44 inches tall and 44 inches wide. Sun-Staches can instantly transform anyone into the life of the party. 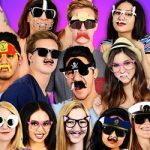 Seen on ABC’s Shark Tank, Sun-Staches are super cool, fun novelty glasses that can let you be a cat, a superhero or a character from your favorite game, TV show or movie. WEDGiTS are fun and challenging, multi-dimensional building sets. 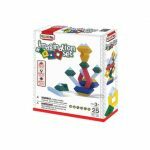 WEDGiTS pieces can be nested, stacked, linked and wedged together to create hundreds of designs. Encouraging imagination, creativity and group participation, WEDGiTS offer endless hours of creative challenge and entertaining fun. WEDGiTS are so much fun, your child won’t realize you’ve selected the toy as a learning tool. Give your look a magical underwater vibe with these mermaid-themed cosmetics and temporary tattoos. 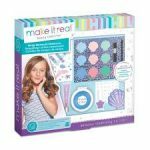 This tween mermaid themed cosmetic set will unleash your daughter’s creativity as a perfect introduction to makeup styling.